The first four of six units have been completed and the last two are expected to be fully operational within the next 18 months. 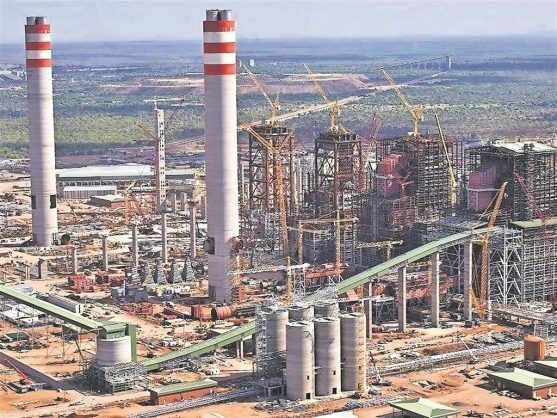 ‘Clean coal’ may be Eskom’s newest buzzword, but Project Director of Eskom’s Medupi power plant, Philllip Dukashe, admitted this phrase does not mean coal can be clean, but rather refers to the mitigating measures taken by Eskom in an attempt to minimise the negative impacts of coal, reports Bosveld Review. He made this declaration during the recent Eskom regional media briefing in Lephalale, during which media from across Limpopo were taken on a tour of the huge coal-fired power station. The first four of six units have been completed, and the last two are expected to be fully operational within the next 18 months. As Dukashe explained, the boilers are supercritical, which makes it 38% more effective than other Eskom power stations. The dry cooled system uses dramatically less water than other coal-fired power stations. The Medupi power project is also a zero effluent facility meaning no wastewater is discharged from Medupi. The 4 800 MW power that is generated is 10% of the total amount of electricity generated by Eskom. The construction is 90% complete. This means that of the 18 000 workers at Medupi in the peak construction phase, only 7 000 will remain by December 2018. This is called the demobilisation phase. In this year up to April, 1 530 workers were demobilised, during May to August another 2 150 will lose their jobs with a total of 7 000 for the year. Of these workers, more than 54% are from South Africa. Medupi is big from a distance, but even bigger from up close. The boilers are 130 m high and the two chimneys are 220 m high. The temperatures in the boilers reach up to 560º Celsius and the pressure reaches 24 kPa. The steam under such huge pressure turns the high, inter and two low pressure turbines that generate the power. The steam is then cooled by fans with a diameter of 10 m and returns to start the cycle all over again. According to Medupi, the biggest environmental problems they have on site is oil leakage from the huge trucks and machinery. The plant will use 16 million tons of coal per year when at full production. Spontaneous combustion may pose a threat, but according to Production Manager, Barry Janse van Rensburg, it has not been a problem yet. The success of Medupi’s ‘clean coal’ mitigations is a point of debate between the pro-coal business and industrial giants, and environmentalists and communities. Various impacts have been named on several occasions, which include the Inspection Panel of the World Bank, the Development Bank of South Africa, Nersa, parliament and various other platforms. These negative impacts include crime rising, increase in specifically sexual and violent crimes, increase in sexually transmitted diseases, school dropouts and teenage pregnancies among others. The worsening state of infrastructure such as roads and the municipality’s inability to handle increased population resulting in sewage spillages, water supply and pressure problems, as well as lack of other basic services in towns and villages are also part of an endless list, according to community representatives. The area is a water scarce area and people are concerned about the water and the quality, as coal plants use a lot of water. Air pollution is another significant problem. Medupi will produce sulfur dioxide (SO2) equal to twice that of the entire United Kingdom. This amount, combined with the existing Matimba power station, will equal three times that of the recorded emissions in the United Kingdom. Apart fromSO2, there are also nitrogen oxide (NOx) emissions, a matter that has proven health risks even in low quantities. The impact on health was never even mentioned. The mere size of this giant coal-fired power station tells you the impacts are huge. Positive as well as negative effects as a result of the power station have changed the Lephalale Bushveld forever.